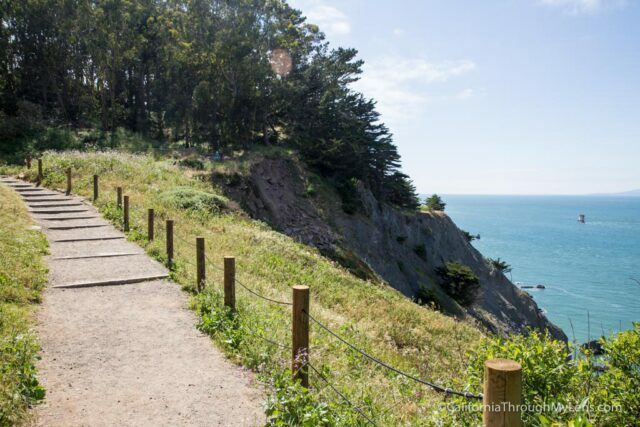 By far one of the best places in San Francisco for a hike is the beautiful Lands End Trail in the Sutro District of Golden Gate National Recreation Area. 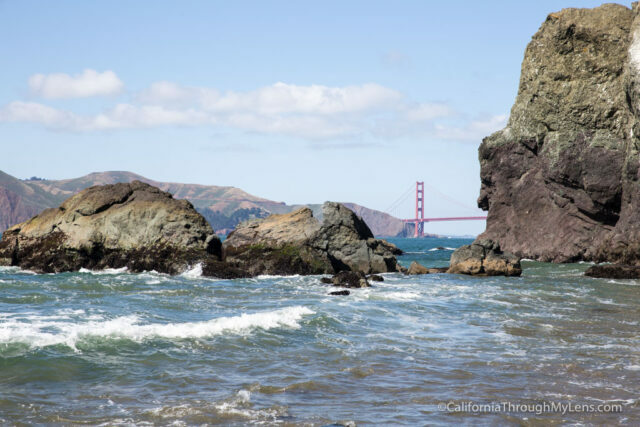 There are miles of trails here, and they provide fantastic examples of coastal terrain while also letting you see the Golden Gate Bridge from many different angles. If you want to explore this area, then be sure to read on below for all of the information. The trail is accessed by the parking lot at the end of Geary Avenue. There are two main parking lots here, one near the Sutro Baths and another by the memorial. 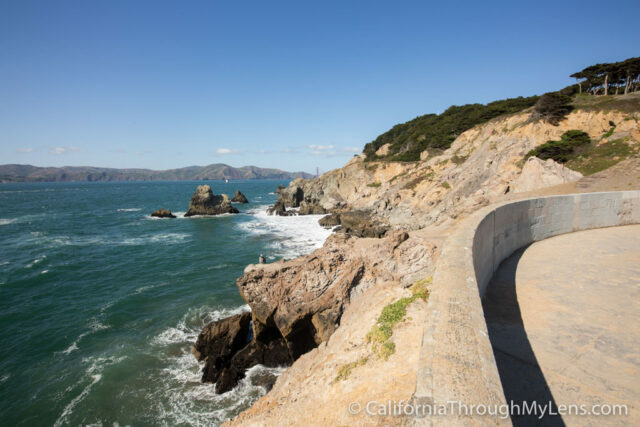 If you are looking to make the full trail and see the baths, then choose the former, and if you are just looking for a great viewpoint of the bridge and have limited time, choose the latter. Note that these parking lots can get busy on the weekends. This post is written from the parking lot above Sutro Baths. This parking lot also has access to the visitors center which provides all sorts of information about the area and the trails. Before heading out on the Land’s End Trail hike down to the Sutro Baths. This area is a lot of fun to explore and to climb around on. You can spend a lot of time here if you choose and it is ideal for sunset. Read more about the baths here. 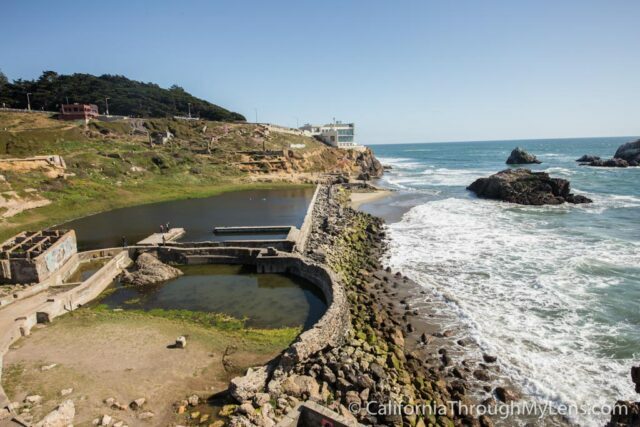 Located right above and to the right of Sutro Baths, this lookout area is a great spot to get views of the baths and the coastline itself. This is also where you can see the famous rock with what looks like a heart shape cut out which is beautiful as well. 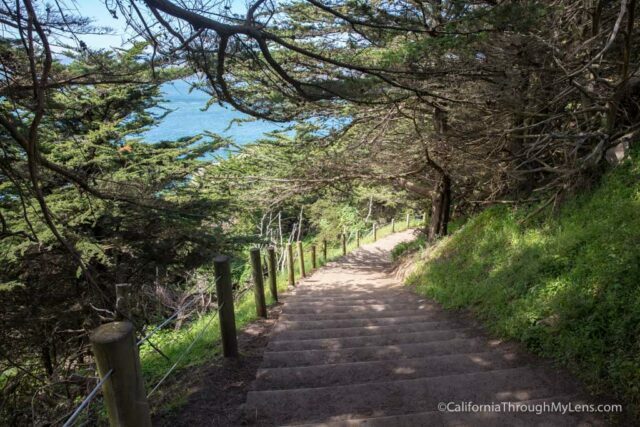 From here you can head up the steps and start the Land’s End Trail. 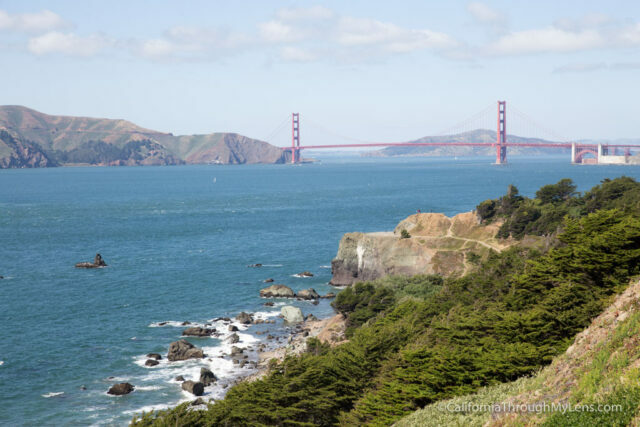 As you start to wind around the coastline, you will get to steps which take you up to the second parking lot and which provide a great view of the bridge. 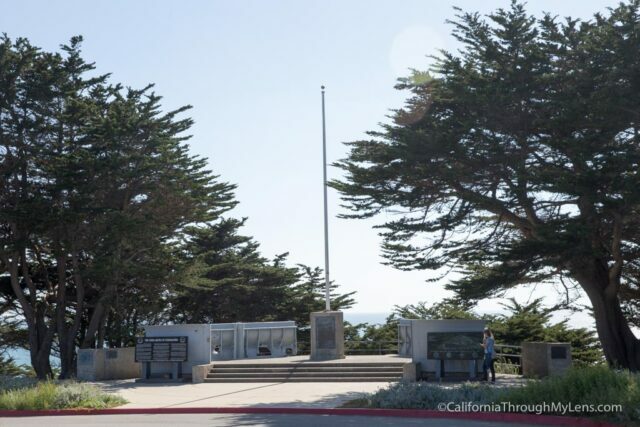 This is also where the USS San Francisco Memorial is as well. This is a beautiful memorial dedicated to the ship and the sacrifice that many men and women have made to defend our freedoms. It is a great stop on the trail. 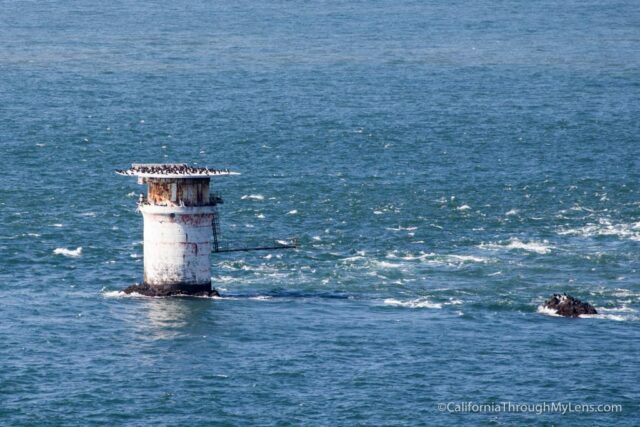 Be sure also to look out at the Mile Rock Lighthouse, or what is left of it, out in the water in front of you. 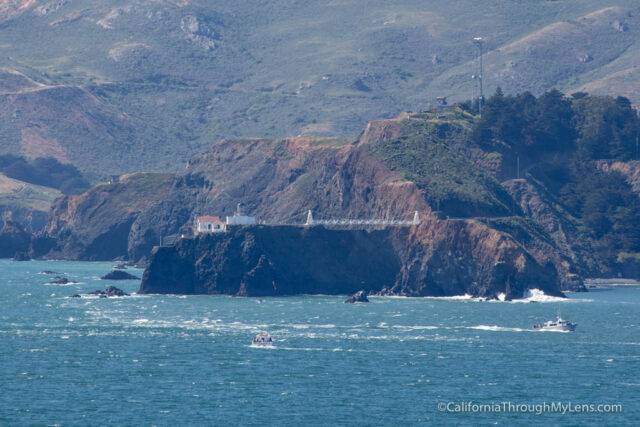 If you have binoculars or a long camera lens, then you can see the Point Bonita Lighthouse across the water as well. From here the trail continues relatively flat and covered in trees with quick glimpses of the Golden Gate Bridge through the foliage. The trail eventually reaches a split where the path down heads to Land’s End Point, which is my favorite spot on the trail. 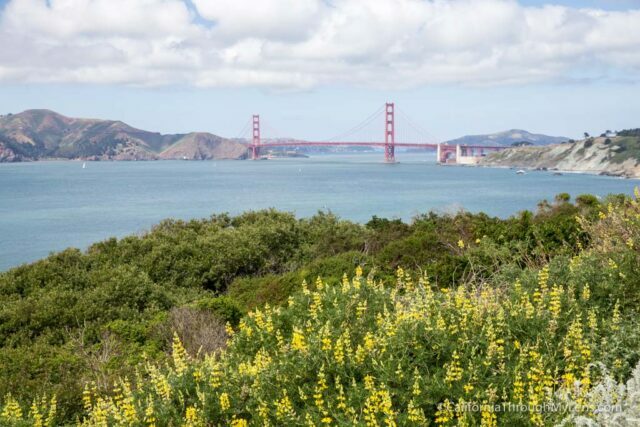 This small area which is just dirt is one of the best spots for a view of the Golden Gate Bridge. You do have to walk down a lot of steps to get there, but it is worth it. At the end, you will reach a small dirt area which is the top of the cliffs. 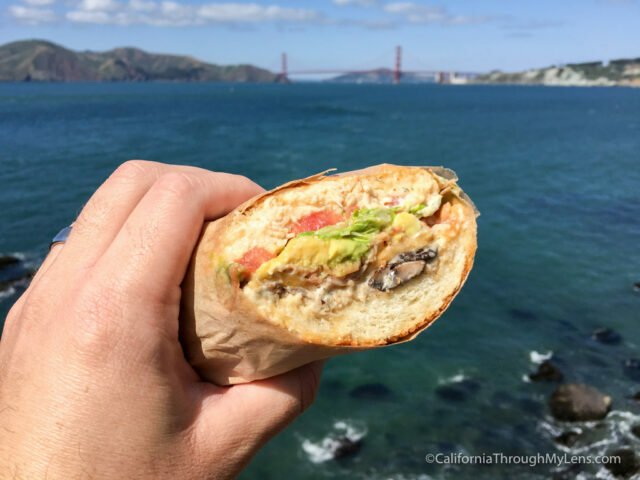 This is a great spot to pull out your sandwich from Ike’s if you stopped there before coming out on the trail. This area is a lot bigger then it looks, and it is a great spot to relax and enjoy the views. If you are looking to go down to the beach, you can do that from here as well. 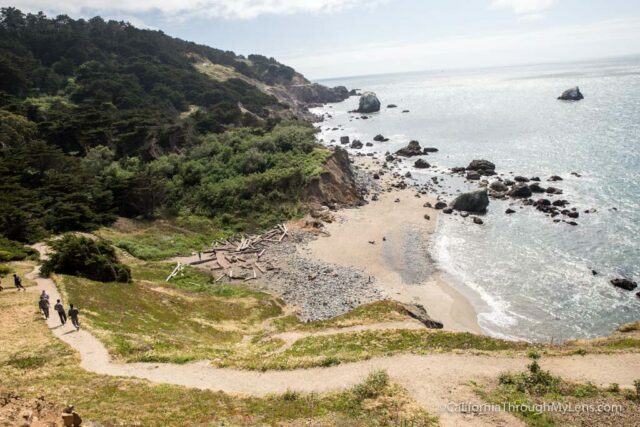 Mile Rock Beach is a short walk from Land’s End Point and is the beach you can see directly below and to the left of you. It is accessed by more stairs and downhill walking. This area gives you a small glimpse of the bridge which provides a fun photo opportunity. It is also a great spot to sit on the beach and look out over the water as the views are spectacular. After you are done here, you can head back up all the stairs you came down and continue left to keep going on the trail. I will say that for me Lands End Point is the most beautiful part though so if you have a time constraint you can head back. The trail now leads through more trees which were lush and green when I went, before another set of steep stairs. Of course what goes up must come down, so when you get to the top of the stairs, you will go back down the other side. 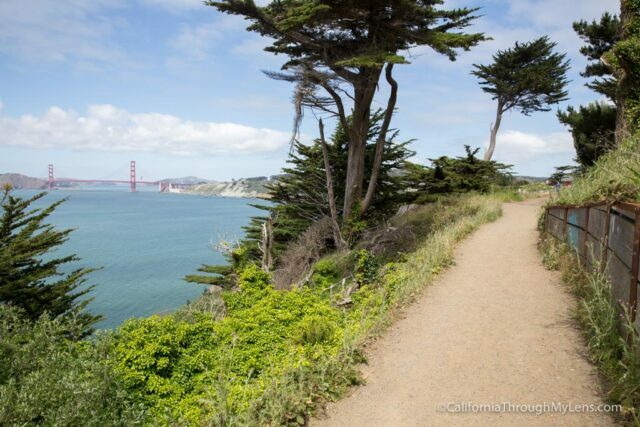 I love this area as it provides fantastic views of the trail itself and the Golden Gate Bridge behind it. The trail continues through lush foliage before opening back up again right near Eagle Point. 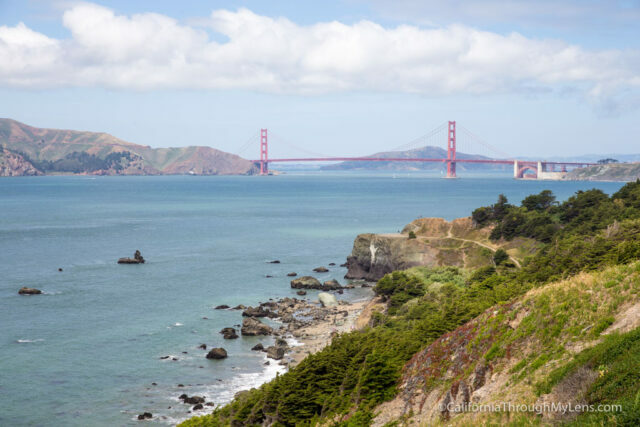 Eagle Point Overlook is a large cement area that provides a great view of the Golden Gate Bridge. I didn’t think it was notably better than many of the other views you have seen on the trail, but it did have some unique flowers that you could use to compose a good picture. This is where the trail meets back up with the road again, and while it technically continues, this is where I turned around and headed back. 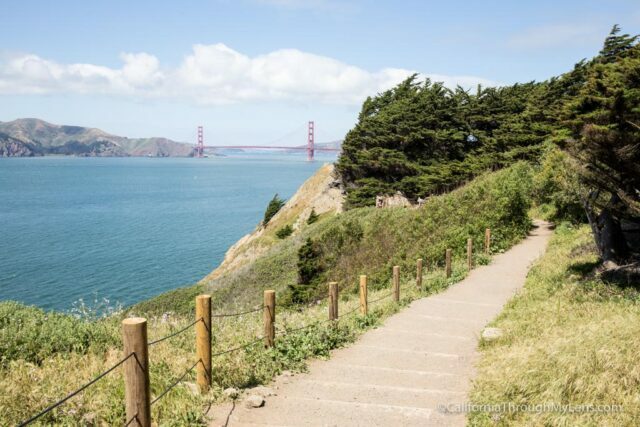 You can use this trail to walk all the way to the Presidio and Baker Beach, but that is a story for another post. Just these 4 miles will take you at least a few hours as there is so much to explore and so many beautiful views to see. 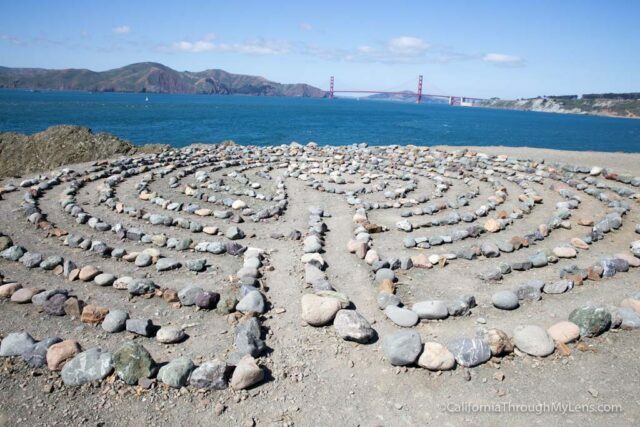 Be sure to let me know in the comments if you have done this trail and if you have any other recommendations for me to explore in San Francisco.